All of us are apprehensive about our personal messages being read by the intended person. It is both a cardinal sin and can be misused for undesired purpose. Now with Governments snooping on our messages and mails, what we require is a very secure messaging service. This is the space that the startup Wickr looks to capture with the launch of its snooping proof messaging software optimised for Android smart phones and tablets. 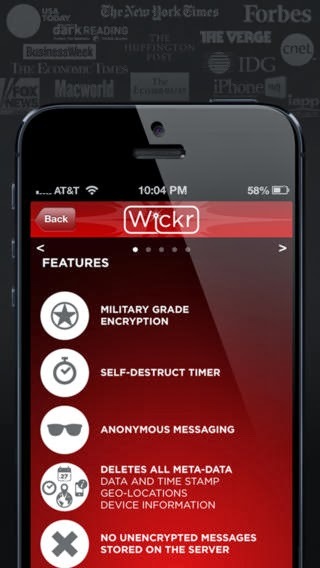 Wickr already has a App for iPhone, iPad and iPod Touch which it launched last year. The unique selling point of Wickr is that it will be a secure messaging platform vis-a-vis Skype, Facebook, Gchat or SnapChat. Speaking at the Wickr App for Android launch function yesterday, Wickr co-founder Robert Statica said that, "The release of Wickr Android for public beta comes at an important moment in history as this right to privacy is challenged by governments, corporations, lone criminals throughout the world," Statica went on to brief the reporters about future plans of Wickr "Bound by the strong belief that private correspondence is a universal human right, San Francisco-based Wickr aims to bring free private communication to users across the globe." At present Wickr will be available for free. Once the users need more control over their messaging services, Wickr will start charging for the premium service as per its founders. 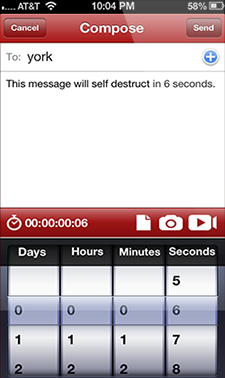 Wickr is a secure self destructing messaging App which lets you send and receive text, image, audio and video messages to and from your friends and near and dear ones. The only problem is that the opposite party should also have Wickr App installed on his or her smart phone or tablet. However Wickr supports cross platform messaging which means that if your friend has a iPhone, iPad or iPod Touch, you and your friend can send and receive text, image, video and audio messages, provided both have Wickr installed. If you are a security fanatic and would like your messaging to be very private, you can download the App for Android smart phones and tablets from Google Play here. iPhone 4, 4S, 5, 5S, 5C, iPod Touch 4, 5, iPAD, iPAD2 and iPAD3 users can download the App from Apple Store here.